This coming Friday, July 11, 2014 – ONLY, you can load a coupon to your Kroger (or Affiliate) Plus Card for FREE Zico Coconut Water (14 oz.). Although 7/11/14 is the only day that you can load the coupon, the coupon offer is redeemable through 7/26/14. 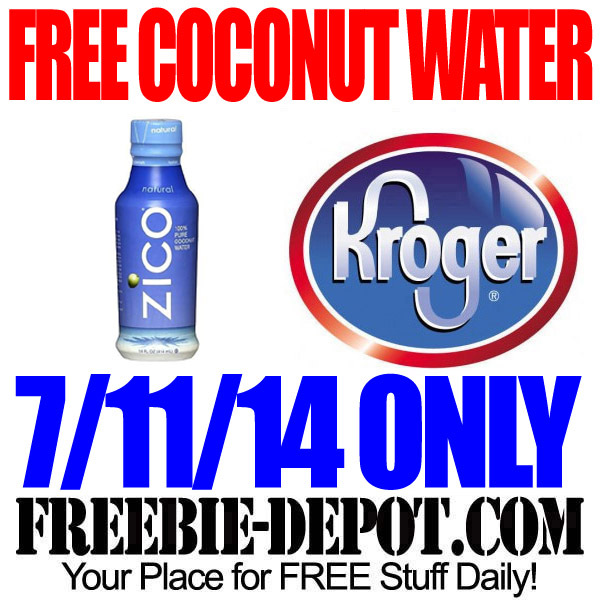 The FREE Zico Coconut Water Coupon can also be redeemed at any of the above Kroger Affiliated locations.